All horses can go barefoot! That’s right! Your horse can thrive with natural hoof care. In fact your hoses will be healthier and perform better without shoes. Horse shoes only harm the hoof, weaken it and cause the hoof harm. Shoes only cover up issues in the hoof that can be rectified and healed with time, natural lifestyle and proper natural hoof care. “What is natural hoof care”? In short NHC is the mimicking of the the natural wear patterns documented in wild horses of the US Great Basin. We then take these natural patterns and apply them to the individual horse and hoof in the care of a qualified NHC practitioner. 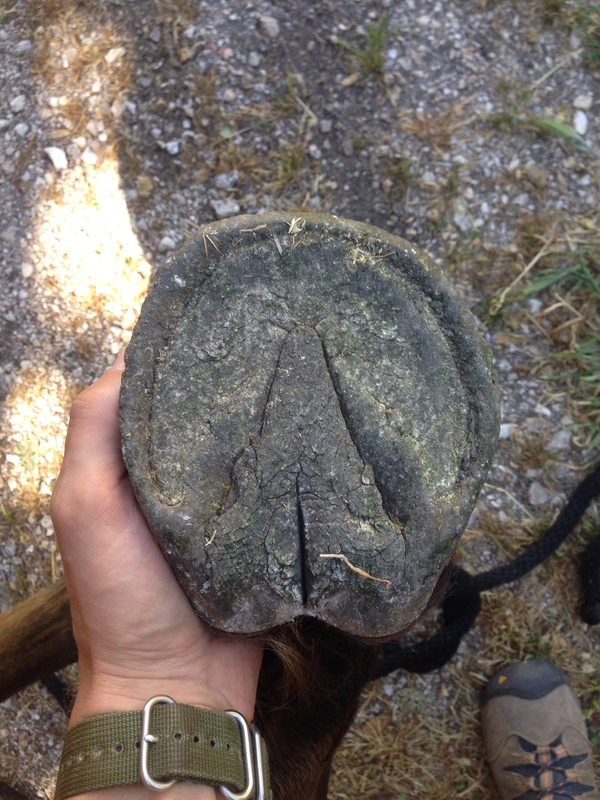 A beautiful hoof from a horse living on the AANHCP headquarters Paddock Paradise. Luke has been practicing Natural Hoof Care for over 13 years and has taken horses from every discipline and breed barefoot successfully. Currently Luke works in every state in New England. He also worked in Arizona and California for 10 years. 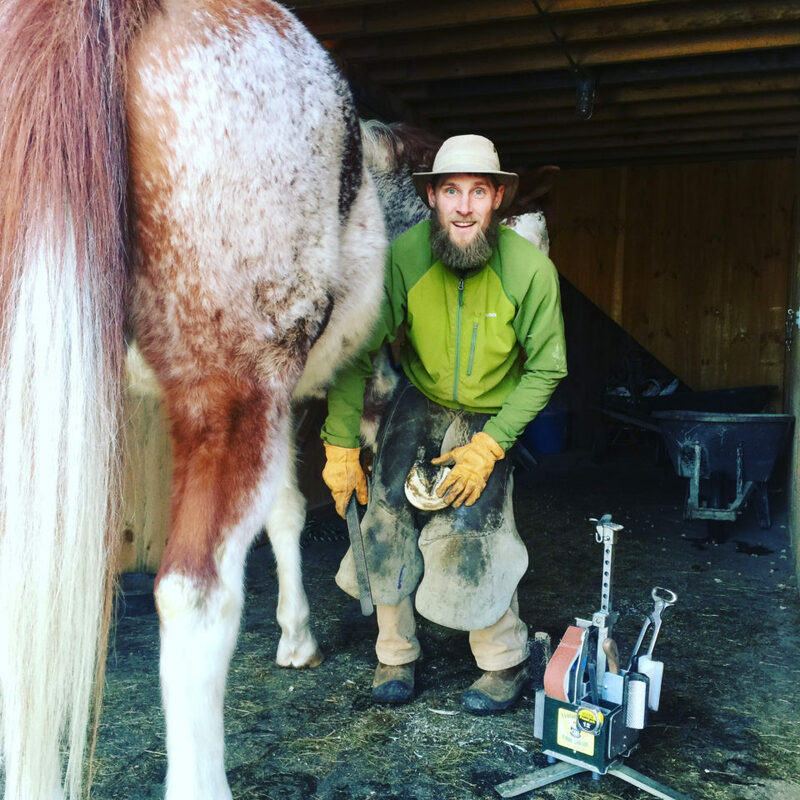 Luke is certified by AANHCP and ISNHCP and is currently an instructor and clinician for the ISNHCP natural hoof care training program. If your are interested in taking your horse barefoot and would like the best care possible, contact Luke here. Use the button below to pay for a Natural trim.